At the University of Nottingham Malaysia, surrounded by serene, green gardens, our students experience the benefits of good soil daily. Developing that good soil, however, is not something everyone has experienced. An enthusiastic group of students recently tried their hand at developing soil through composting at a workshop hosted by SEEN (Sustainable Environmental Education Network). SEEN’s Guide to Healthy Soil workshop was introduced with a talk by soil expert Dr Christopher Teh Boon Sung from Universiti Putra Malaysia. Participants were surprised to discover just how interesting the ground beneath our feet can be. Dr Teh packed a wealth of his expert knowledge into an informative and gripping presentation that really got the audience thinking – and ready to take action. In fact, armed with their new knowledge, students were eager to put their learning to the test. After the talk, participants set off for the SEEN Community Garden, where a number of experimental plantings are already flourishing. 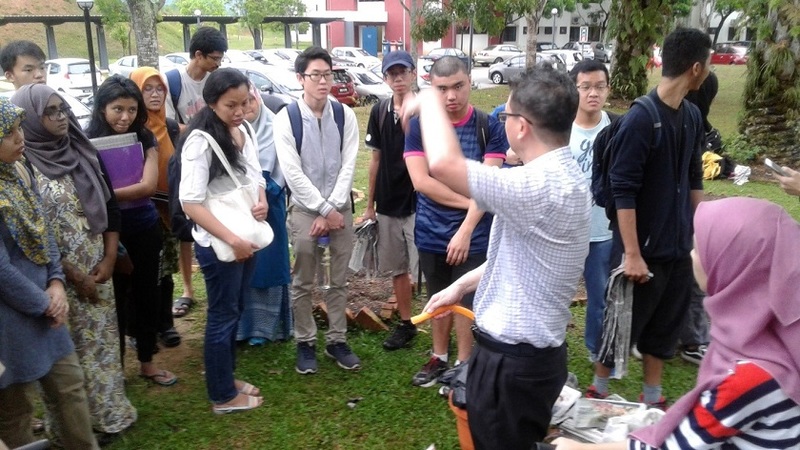 Here they observed as Dr Teh demonstrated the preparation of compost. 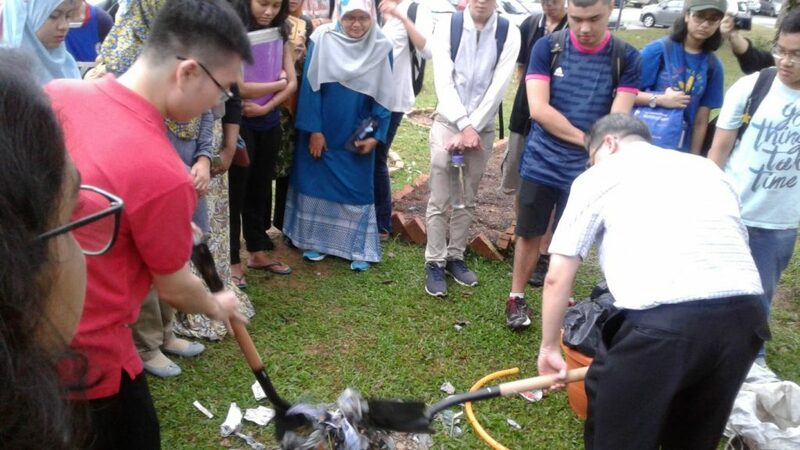 Students got involved in combining different kinds of organic waste matter, such as newspapers, dried leaves, grass cuttings and food waste from the cafeteria cleaning stations, in a suitable ratio for quality compost. To this mix, they added a small amount of water and the final ingredient – movement of the compost mix. According to Dr Teh, if this compost mix is turned over twice a week and covered to prevent interference from the elements, it will become suitable for soil in as little as three months. There are a few rules for ensuring good results, but overall, students were happy to find that making compost is easy enough for anyone to do successfully at home. The key point of the workshop was that organic matter is the best source for enriching soil. This is good news, because it means that organic waste – from paper and garden trimmings to food waste – can be disposed of in a way that actually benefits the environment. 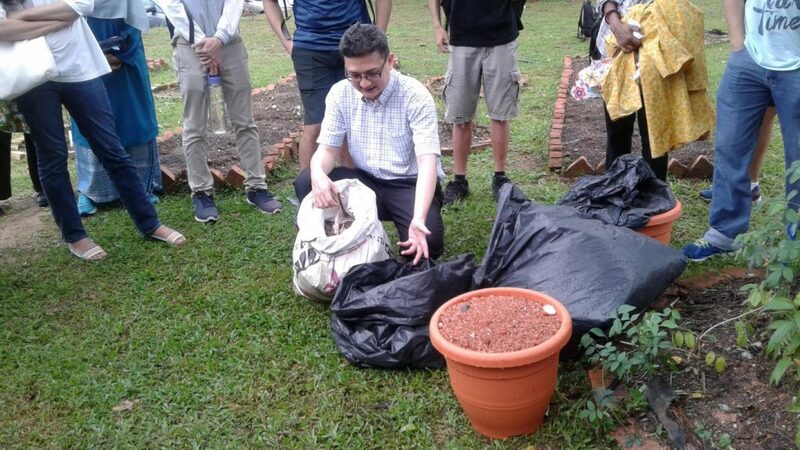 In an environment like the University of Nottingham Malaysia, this means that there is a good use for waste, which can also nourish our soil and beautify our campus. Following this workshop, students now know exactly how to do this. SEEN (Sustainable Environmental Education Network) is a volunteer network in the University of Nottingham Malaysia by the Estate Office and Campus Services. SEEN consists of staff, students, alumni, and the public, who share a passion for cultivating a greener environment. SEEN hosts frequent activities, including workshops, talks and regular sessions in the Community Garden on campus. The Community Garden offers opportunities for University of Nottingham Malaysia students and staff to get involved in growing vegetables and herbs on a community basis. Even if you have no experience, there is support and guidance to develop your “green thumbs” and a friendly, fun environment.